Clients — Douglas Management Group, Ltd.
With over 20 years as a worldwide presence in major motion pictures, GARY OLDMAN is also known to millions as Sirius Black (HARRY POTTER’s Godfather), Commissioner Jim Gordon (BATMAN’s crime-fighting partner), Dracula, Beethoven, Lee Harvey Oswald, Joe Orton, Sid Vicious, and also the terrorist who hijacked Harrison Ford’s AIR FORCE ONE. He also starred in Luc Besson’s THE PROFESSIONAL and THE FIFTH ELEMENT and also as Dr. Zachary Smith in LOST IN SPACE. He has appeared in the following HARRY POTTER films: HARRY POTTER AND THE PRISONER OF AZKABAN, HARRY POTTER AND THE GOBLET OF FIRE, HARRY POTTER AND THE ORDER OF THE PHOENIX, HARRY POTTER AND THE DEATHLY HALLOWS: PART II; and also appeared in the following BATMAN films: BATMAN BEGINS and THE DARK KNIGHT, and THE DARK KNIGHT RISES. He stars in MGM’s upcoming reboot of ROBOCOP, directed by Jose Padilla, and also in THE DAWN OF THE PLANET OF THE APES. 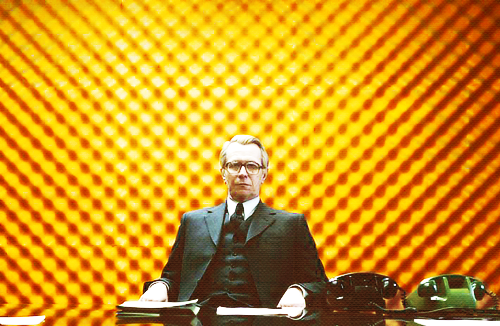 With the addition of master spy George Smiley, Oldman created yet another iconic character in the acclaimed film version of John leCarre’s TINKER, TAILOR, SOLDIER, SPY. 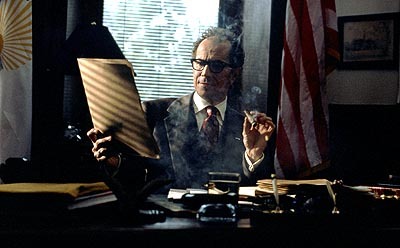 TINKER brought Oldman his first Academy Award Nomination and also a BAFTA nomination as Best Actor. 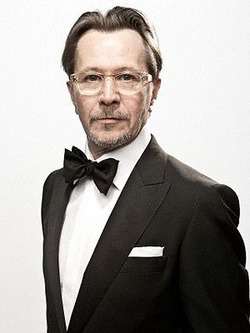 In addition to Robocop, in 2014 Gary Oldman will also be seen starring in DAWN OF THE PLANET OF THE APES, and also CHILD 44. Starring also with Denzel Washington in the hit film THE BOOK OF ELI, his acting career began in 1979 where he worked exclusively in the theatre; in 1985 through 1989 working at London’s Royal Court. His early BBC films were Mike Leigh’s MEANTIME and THE FIRM by the late Alan Clark. Feature films, which immediately followed were SID AND NANCY, PRICK UP YOUR EARS directed by Stephen Frears, ROSENCRANTZ AND GILDENSTERN ARE DEAD directed by Tom Stoppard, STATE OF GRACE, JFK directed by Oliver Stone, BRAM STOKER’S DRACULA directed by Francis Ford Coppola, ROMEO IS BLEEDING, TRUE ROMANCE directed by Tony Scott, THE PROFESSIONAL directed by Luc Besson, MURDER IN THE FIRST, IMMORTAL BELOVED, and THE SCARLET LETTER directed by Roland Joffe. 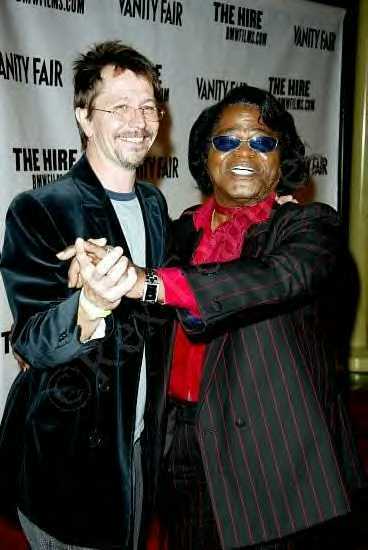 In 2000, Mr. Oldman, and Douglas Urbanski also produced the original film THE CONTENDER, which also starred Joan Allen, Jeff Bridges, Christian Slater and Sam Elliott; the film received several Academy Award Nominations. 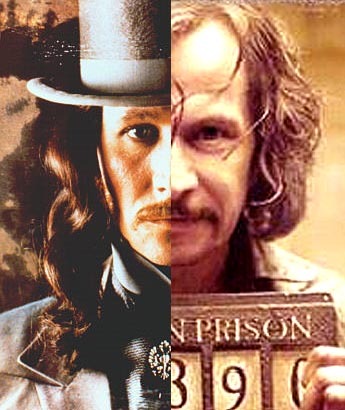 During the past twenty years Mr. Oldman has appeared in a staggering thirteen films that have opened in the number one box office position; the films in which he has appeared have a cumulative gross in the billions and billions of dollars, remarkably, making him the highest grossing actor in the history of motion pictures.